Here’s what children in your schools and communities are saying about their own lives. 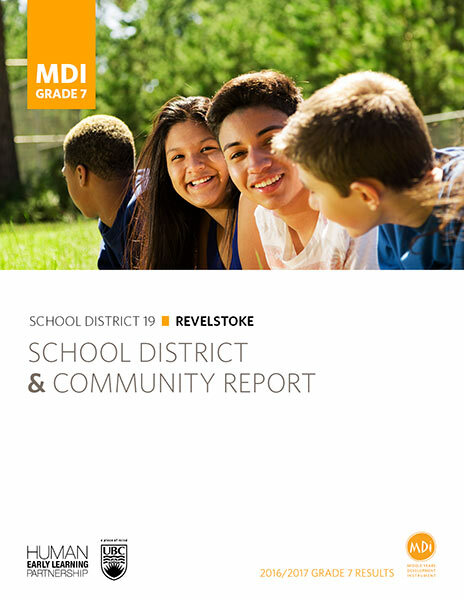 Your MDI reports contain a wealth of information. The five dimensions measured by the MDI cover a broad range of experiences in middle childhood. Some of the included measures ask children about themselves – their thoughts, feelings and self-perceptions. Other measures ask children about the environments and relationships they interact with on a daily basis. The data provided by children on all of these measures is analyzed and made available to you through the school district and community reports released each year. Check out the links below to learn how to access and interpret your school and community data. See how your MDI reports plot data neighbourhood by neighbourhood.